Looking for Cangrejal River Restaurants? 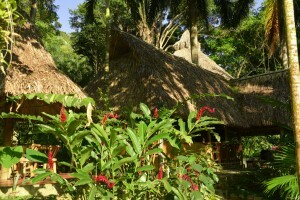 The Cangrejal River Restaurants are located in one of the most unique natural scenarios in Honduras. Fortunately, you will find that there are several alternatives to eat within the area. In addition to this list, most of the hotels and lodges within the Cangrejal River offer their guests food, however they do not have a restaurant open to the public. This being said, if you are staying at any of the lodges, such as La Villa de Soledad B&B, you will have no problem getting quality home made food; you always have the option to visit one of the Cangrejal River restaurants, which are all close to the different lodges. Of the different Cangrejal River restaurants, there is only one that is open 7 days a week, 30, days a month, and 365 days a year, it is La Jungla, located in the Omega Tours Jungle Lodge. 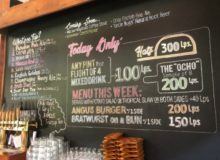 La Jungla offers a nice menu with a variety of German specialties, as well as vegetarian options. The setting is informal, but very pleasant. 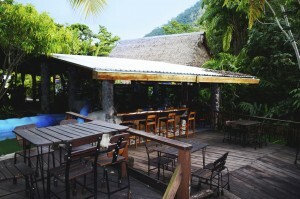 You can choose to sit in the deck next to their pool, around the bar or in the restaurant area itself. The restaurant and bar is open from 7:00 a.m. till 9:00 p.m. Prices are very reasonable and patrons from other hotels and visiting for the day from La Ceiba are always welcome! They also offer diverse fresh fruit juices, which vary depending on when they are in season. Located at the Villas Pico Bonito complex. The Rio Vista is a very pleasant site, adjacent to their truly spectacular infinity pool. The restaurant is not open daily, so it is a good idea to call ahead to confirm if they will be open. The menu is short, but the food is great. When open, which is usually from Thursday to Sunday they are so for lunch and dinner. Be aware that because of their pool, many locals from La Ceiba like to visit the restaurant on weekends. Because of this, they apply an entrance fee, which is redeemable against consumption in the restaurant. Service at Rio Vista can be somewhat slow when they are busy. Their menu is certainly more expensive that the one at La Jungla. This is the favorite of the Cangrejal River restaurants for the locals that like to come to the Cangrejal River in the hot days of summer to keep cool.